Founded by Gerald Kemp in 1976, Kemp’s Dalton West Flooring has been committed to excellence in floor installation and customer service. 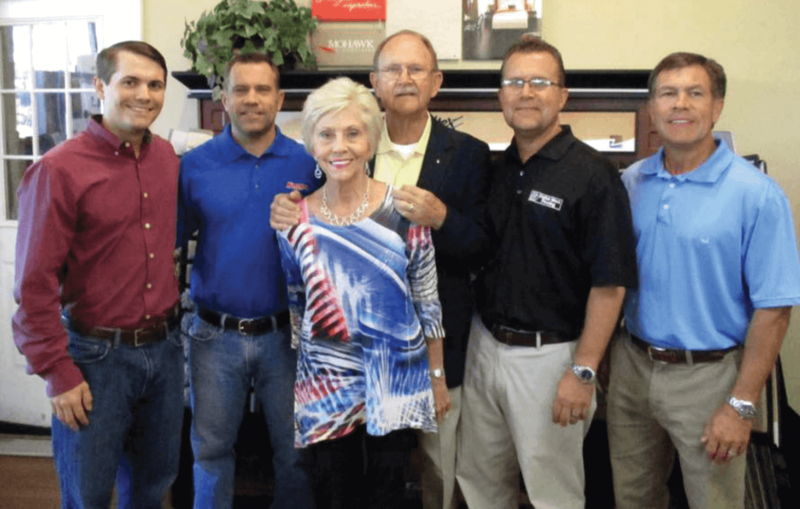 Since Kemp’s Dalton West Flooring is a family-owned business, we have always been dedicated to upholding the legacy of our founder. Kemp’s faith and integrity were the foundation of our company at the start and remain guiding principles to this day. Our company has always sought to make our founding father proud. Throughout the years, we have remained true to our values and roots, but have progressed with the changes in the world. As the needs and desires of the community have progressed, so has Kemp’s Dalton West Flooring. Our desire to serve our customer base has led us to continually pursue the latest in materials and training. Harnessing the perfect balance of cutting edge technology with our small town friendly business, Kemp’s Dalton West Flooring is growing in a healthy direction to continue to serve our customers for generations to come. At the start of Kemp’s Dalton West Flooring, carpet was the only flooring we offered.Over the years, our flooring options have grown to carpet, hardwood, ceramic tile, vinyl, stone, glass tile, laminate, and luxury vinyl. Beyond flooring, we also have expanded into the rug and cabinetry fields. Since selecting from so many options can be challenging for a customer, all our sales professionals have been educated thoroughly by utilizing education courses provided by our largest flooring vendors such as Mohawk and Shaw. We also employ designers well-versed in the latest styles, products, and trends within the industry to ensure that customer satisfaction is achieved. From start to finish, we will be by your side through the installation. If one associate begins the consultation process with a customer, they will remain the contact throughout the whole installation. Anytime during the project if a customer has a concern, our associate will be available to help. As a three-generation company built on family, we care for our customers and want you to feel like a part of our family. Based upon our founding principles, we believe in serving and building our community. With our profits, we partner with local churches, ministries, non-profits, and shelters. Every dollar invested in our community makes a better future for our family and yours as well. The Kemp’s Dalton West Flooring motto is “We will give you no reason to go anywhere else!” Contact us to begin the consultation process and see for yourself. We want to serve your family and the generations to come.